Long Term Family Investing - What it takes to succeed. It seemed like just another day in the New World. Only a transaction that would change the course of history was underway. The object was a piece of property: a coastal island. Protected from the ocean and flanked by two rivers, this island would make a fine port. And the Dutch knew a good port when they saw one. So the deal was struck. Peter Minuit would buy this island, called Manahatin for “Hill Island,” from the Indians. He would pay a handsome price: goods worth 60 guilders. 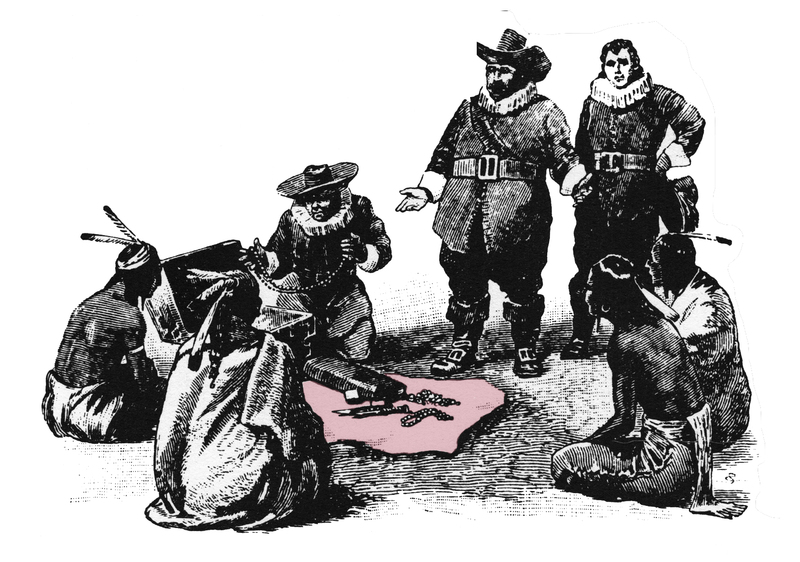 Thus was the island of Manhattan sold, in 1626, for $24. Compounding is a key issue for the investor. It means adding the interest earned to the initial principal amount and continually reinvesting the total. Yet, we find compounding is often obscured by daily market conditions that command the headlines and, therefore, the attention of both individuals and institutions. Today, it is difficult to focus long term when all that one reads and hears is oriented toward the short term. The thinking at McRae Capital Management places the compounding of both principal and interest at the center of truly successful investment programs. The good news is that one need not wait over 390 years for compounding to pay off. Major fortunes have been made by investing in growth companies over a period of ten to 20 years. The reverse of long-term investing is a trading mentality. Market timers try to second guess the market and maximize returns over a short period of time. They leave themselves open to three negative outcomes: 1) the whim and caprice of market fluctuations; 2) the capital gains taxes individuals will pay if they do come out ahead, thus reducing the funds available for reinvestment; and 3) excessive commission costs. It is this kind of trader who can get caught in market reversals, which occur almost every year. Further, looking at short-term results ignores the fact that most (individuals and institutions alike) invest to achieve long-term goals. With so many investment advisors, registered brokers,security analysts and millions of private investors, it is not surprising that investors become frustrated and make little progress over time if they attempt to outguess the market on a short-term basis. With all that manpower, the market price for any particular stock correctly reflects cumulative knowledge and thus the stock is fairly (“efficiently”) priced at any given moment in time. But, the price only reflects short-term knowledge – generally, three to nine months into the future. Today, the longer-term focus makes more sense than ever because the average life span is lengthening. Young investors should be investing in common stocks to maximize growth. Older investors should “conservatize” their portfolios – but slowly, so that the purchasing power they’re trying to protect will not be gradually eroded. What’s the key? A balanced portfolio managed on a consistent basis. Balance provides the stability to temper the portfolio during volatile market conditions. Consistency of returns over an extended period of time produces greater total return than performance that bobs up and down with each new wave of market sentiment. Consistency of returns over an extended period of time usually produces greater total return than performance that bobs up and down with each new wave of market sentiment. 1. Patience…to let compounding work for you. 2. Fortitude…to stay with quality investments that will overcome gloomy headlines, misguided prophets and peer pressure as you remain firmly fixed on your investment objective. 3. Research…to monitor existing investments and seek out candidates for the future. 4. Diversification…to insulate the portfolio. 5. Price…to pay a reasonable price under existing market conditions and to sell some holdings during market highs in order to reinvest under more favorable conditions. The long-term effect of compounding investment returns is dependent upon time and the rate of return. The higher the rate of return the better. In our experience, companies that grow their earnings and dividends over time provide the investor with a better risk adjusted return. Finally, one may raise the issue of risk. One way to offset risk is diversification; experience and rigorous research are others. More to the point, however, risk goes down as the holding period lengthens. As we have seen, it is the speculator who can get caught pursuing overzealous short-term goals.